What child (or parent, for that matter) wouldn’t love a robot all their own? You may not be able to afford the kind that glides around silently cleaning your house, but we’ve found the next best thing. 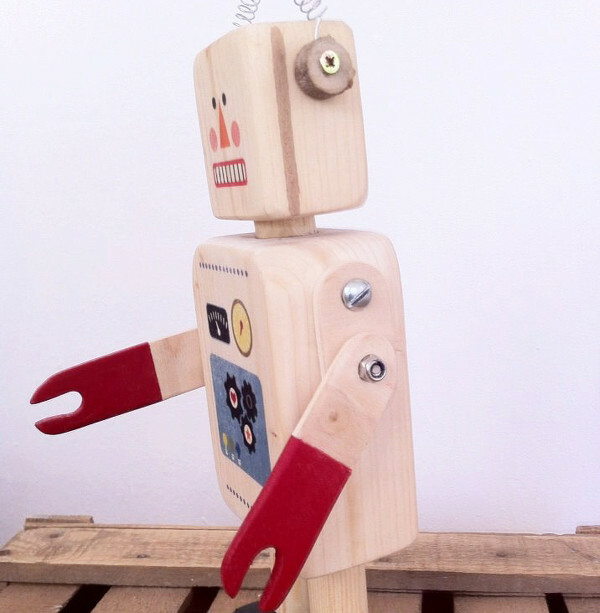 It’s a gorgeous handmade wooden robot from Etsy seller Little Wood Toys, and it comes to you all the way from Spain. While I suspect it may have some trouble with accompanying you “on your intergalactic travels”, as its bio suggests, where it will excel is in inspiring creative and imaginative play. 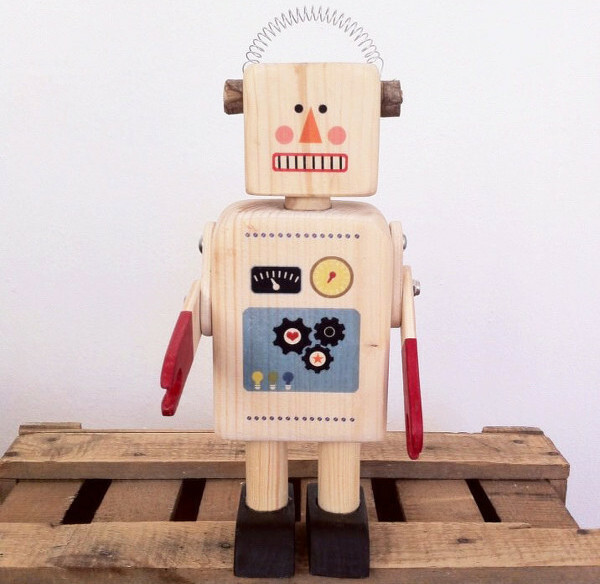 Inspired by the science fiction films of the 1950s and 60s, this quirky and endearing little guy has articulated arms and would be equally at home as a display piece, or as a toy. You can pick him up for $59 from Little Wood Toys.